Typical outdoorsy activities comes to mind when thinking of things to do in Denver. But believe it or not, Denver has so much more to offer than postcard-worthy views to hike through and bars for the legal crowd to hit up after the hike. Explore museums, cat cafes and even old timey theatres like a real Denver native would. Dive into Denver’s history and local art scene, eat some delicious bite at food trucks and find ways to get involved. Consider this your guide to your next Denver adventure. Continue on reading to find out 21 things to do in Denver if you’re under 21. Get yourself some cat cuddles at the Denver Cat Company. “If one is a cat lover, it’s simply adorable, as you walk into a room that has cats everywhere! Our cats tend to be highly socialized so it’s a very heartwarming and joyful experience that brings a smile to our customers’ faces,” said owner Sana Hamelin. “We were one of the first few cat cafes to open stateside and the execution combines a cozy coffee shop vibe with over a dozen adoptable cats lounging about our space.” Grab a book and unwind from the stress of classes with a friendly cat purring in your lap. Take yourself out to a ball game. Grab a hot dog and some mountain views while enjoying America’s favorite pastime at Coors field. Cheer on the Rockies and maybe even catch a fly ball while having an adventure in downtown Denver. After the game go and explore downtown, grab a bite to eat at one of the many restaurants that fill LoDo. Step back in time by seeing a film at this old-school movie theatre. 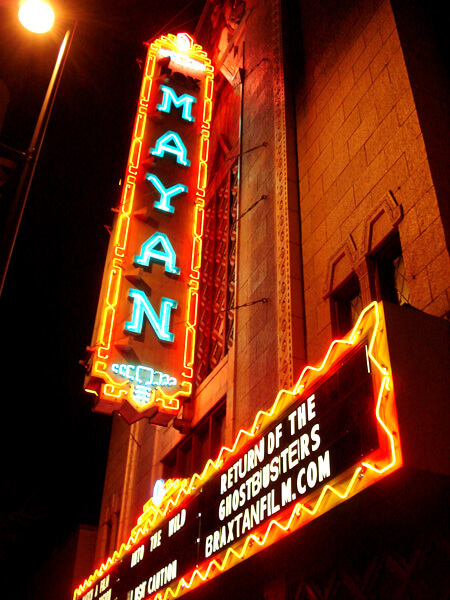 The Mayan Theatre often shows independent films that don’t make it to the mainstream cinemas, which makes for a movie going experience unlike any other. The Mayan Theatre also hosts special events where they show content from organizations such as the National Theatre Live and the Royal Shakespeare Company if you are looking for a completely different type of movie-going experience. And don’t forget to grab some movie popcorn and candy before the show. Explore immersive installations, films and collections that span centuries. With rotating exhibitions, you will always have something new to explore at the Denver Art Museum. Currently, you can stroll through exhibits such as “Stampede” which explores the depictions of animals throughout different time periods and cultures. 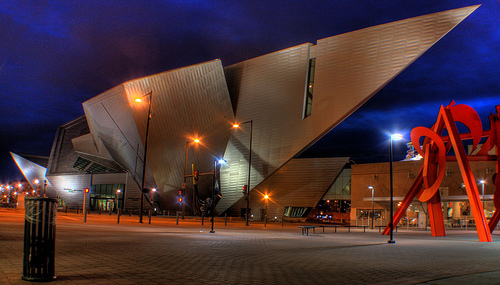 The Denver Art Museum also has incredible collections that span Oceanic art, Asian art and photography. If you can’t get enough time in the museum, apply to take on the role as a volunteer for a great way to gain experience and boost your resume. Need an art piece for your walls? The Santa Fe Art District is a home for local artists to showcase their talents. Check out the First Friday Art Walks when Santa Fe turns into an arts festival. Stroll through pieces from local artists and grab some delicious food at the food trucks that come out for the event. You can also sign up as a volunteer if you like to get hands on experience organizing events. Get artsy while exploring an up and coming neighborhood in Denver. Enjoy some Afternoon Tea at the Brown Palace. The Brown Palace has hosted every president since Theodore Roosevelt apart from three and even The Beatles. Needing to know more about the Palace’s history, you can book a tour of the building and its history. The Brown Palace is known for its traditional afternoon tea. Grab your white gloves and practice your manners for an afternoon of delight. Classes stressing you out? You can even book a massage at the spa for a truly luxurious study break. Throw on your tennis shoes and get ready to climb some serious stairs. 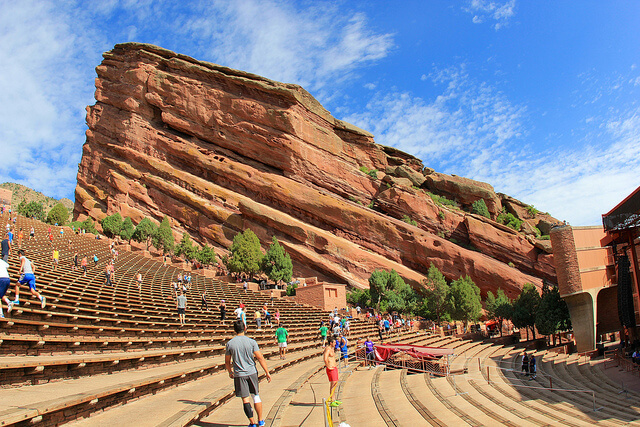 Except for concert dates, you can find Red Rocks Amphitheater open for the public to explore. The bleachers serve as great stair climbing with an even better view. Become your own personal trainer and get your sweat on. Or if you find yourself looking for a more relaxing experience, you can attend an organized event like Yoga on the Rocks. Go vintage and find a new outfit at Buffalo Exchange. Located on Broadway, you can find plenty of opportunities to shop local and find a perfect statement piece for your wardrobe. With fashionable pieces at an affordable price, Buffalo Exchange makes for a college student’s shopping haven. Get out of your usual fashion and try something bold. You will find plenty of local shops and eats to explore too on the rest of Broadway too. Did you know that the “Unsinkable” Molly Brown lived in Denver years after surviving the infamous sinking of the Titanic? Visit her home and learn more about her philanthropy and activism that led her to be one of Denver’s most famous socialites. On a tour, you will walk through the house and learn about Molly Brown’s life and also the lives of the servants (Downton Abbey anyone?). Attend a special event like the Molly Brown House’s “Victorian Horrors” where you will experience a spooky horror theatre experience during the month of October. Frolic through the flowers and maybe even have a photo shoot at the Botanical Gardens. With rotating exhibits and events, you can always find something new to explore and do. 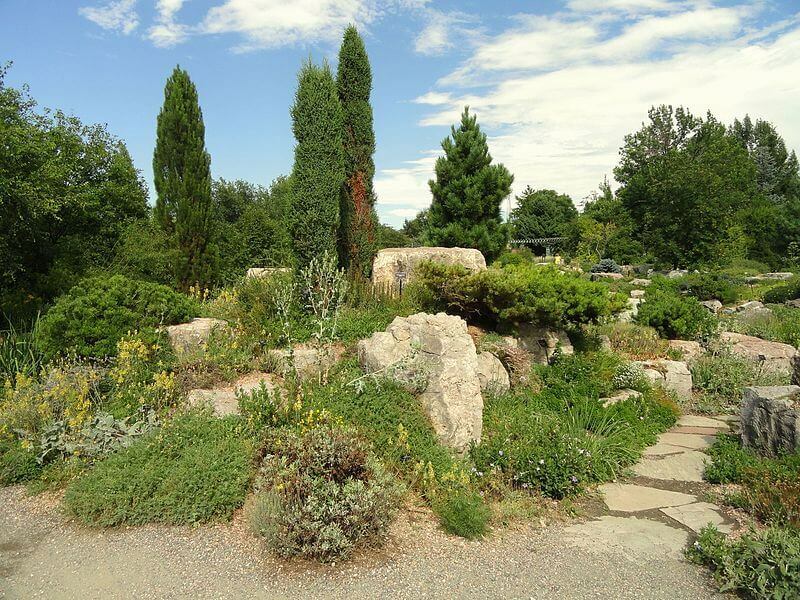 Get outside of the classroom and explore the different gardens at the Botanic Gardens such as Water Gardens, Internationally-Inspired Gardens and Gardens of the West. Check out the special events such as “Winged Souls” which celebrates Día de Los Muertos with butterflies and sculptures created by artist Ricardo Soltero. Have a green thumb? Find a new favorite plant at the Botanic Gardens and learn about its preferred ecosystem. Roar on over to the Wild Animal Sanctuary. The animals at the Sanctuary have been rescued from horrible captive living situations and have been rehabilitated. “The Wild Animal Sanctuary is not a zoo. That is, the Sanctuary exists primarily as a sanctuary for animals and not a zoo for people. Yes, we have many of the same animals, but our mission is completely different,” said public relations director Kent Drotar. “We rescue animals from abusive and illegal situations and then give them a home for life in large-acreage habitats with others of their own kind, free from all human demands.” Visit the Wild Animal Sanctuary or make a donation to support some of earth’s most magnificent creatures. Ready to dig for dinosaurs like Dr. Alan Grant? Dinosaur Ridge gives a glimpse into the past of Colorado. Satisfy your scientific itch and have a hands-on day of exploring the natural world. Climb aboard a bus tour where your guide will point out fossils and tell their stories. Or take on the role as a tour guide and walk along the Dinosaur Ridge and Triceratops trail. Just don’t take home any amber for genetic cloning. Need a mini road trip? 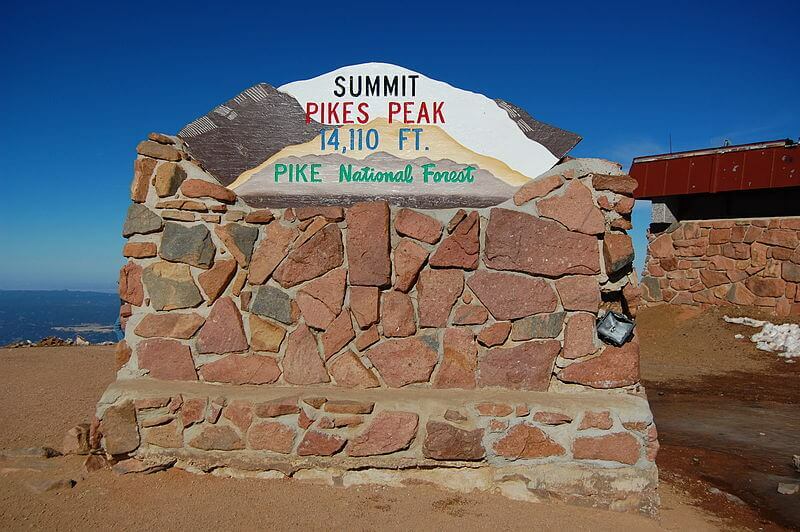 Drive down to Colorado Springs and up to the summit of Pikes Peak. Get the view without the exhaustion of actually hiking to the top and enjoy a snack at the Pikes Peak Summit House. Or climb aboard the Pikes Peak Cog Railway, a train that will take you the scenic way up to the top. From the train, be on the lookout for the big horn sheep and marmots that live at high altitudes. Looking for a challenge? Hike all the way to the top. Ride the RTD all the way to Union Station: a historic train station that has been transformed into a nightlife hot spot. Eat dinner, grab an ice cream at the Milk Box Ice Creamery and explore the rest of LoDo. 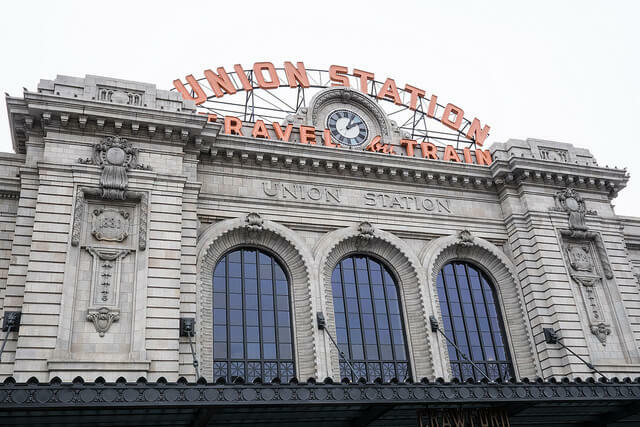 Take a lavish stay-cation in Denver by staying at The Crawford Hotel, located inside of Union Station. In the morning, grab some brunch at Snooze. Or grab some veggies at the Union Station Farmers Market on Saturdays. 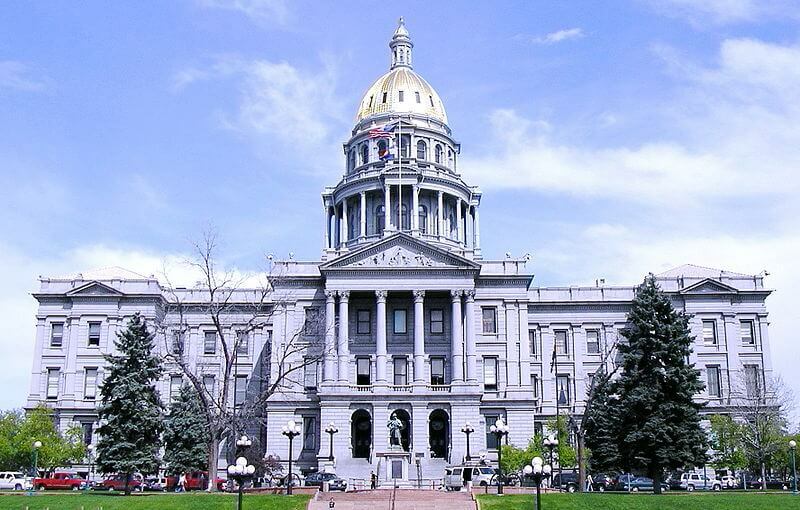 Visit the Colorado State Capital and stand exactly one mile above sea level on their steps. Take a tour of the capitol to learn more about the state government and maybe even feel a little like Leslie Knope. Want to get involved? Find an internship where you can participate in the action. You can also find volunteer positions if your busy class schedule requires less of a time commitment. Get into rhythm by seeing a concert at a smaller, more intimate venue. Some upcoming shows include All Time Low, Børns, Troye Sivan and Dua Lipa. Make sure to buy tickets early to stay within a college budget—you know how that goes. Invite some friends to see a band you love or branch out of your usual playlists and listen to some new music live. 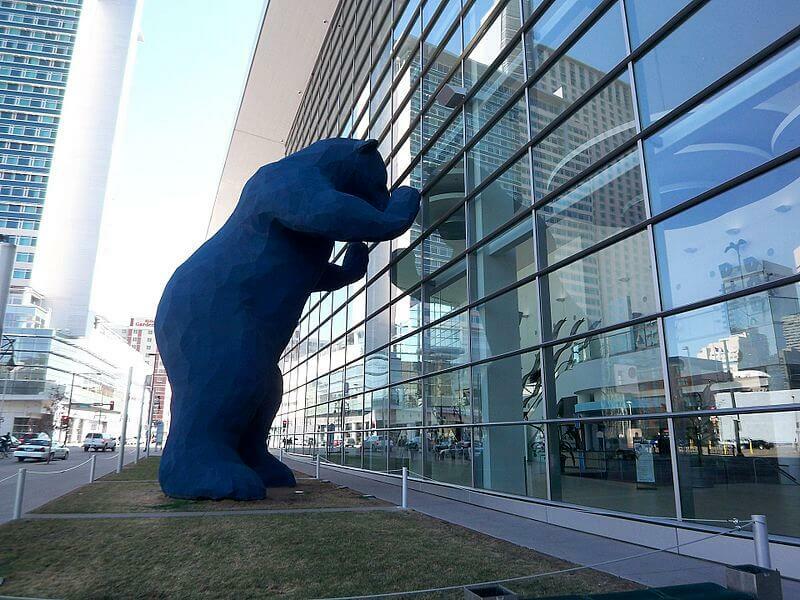 Created by visual artist Lawrence Argent, the Big Blue Bear has stood peering into the convention center since 2005. Pay him a visit, snap a pic for the #gram and go inside the convention center to check out one of the many events such as the Colorado Ski and Snowboard Expo or TedxMileHigh. Explore downtown, marvel at this towering artistic creation and take advantage of the awesome events that are happening right here in Denver. Shop till you drop at the 16th Street Mall. As a pedestrian mall, you can stroll from store to store surrounded by the bustling atmosphere of downtown Denver. 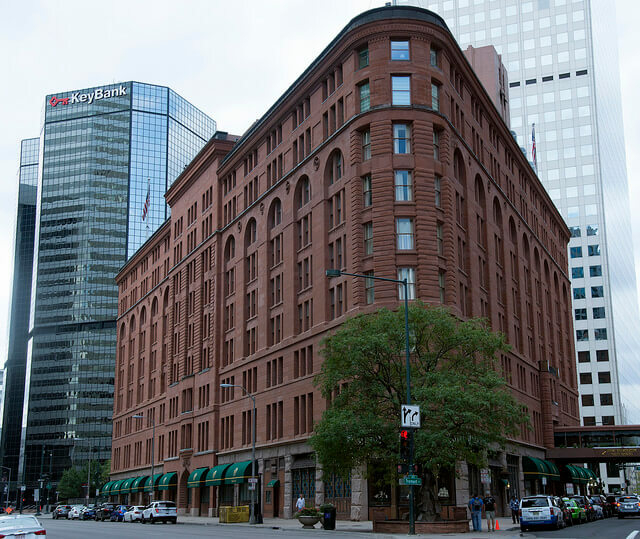 Located in the heart of downtown with stores ranging from Tattered Cover bookstore to H&M, you will be sure to find just what you are looking for. If you need a shopping break, stop into one of the many restaurants that line the mall. At the north end of 16th Street, you can even follow the path to Commons Park to take a break from the urban scene. Grab a hammock, a frisbee and your picnic blanket and enjoy a sunny afternoon at Cheesman Park. Located near some of the oldest neighborhoods in Denver, you can admire historic mansions. However, Cheesman Park also holds a dark history. Before it was a park, it was a cemetery with more than 5,000 graves. 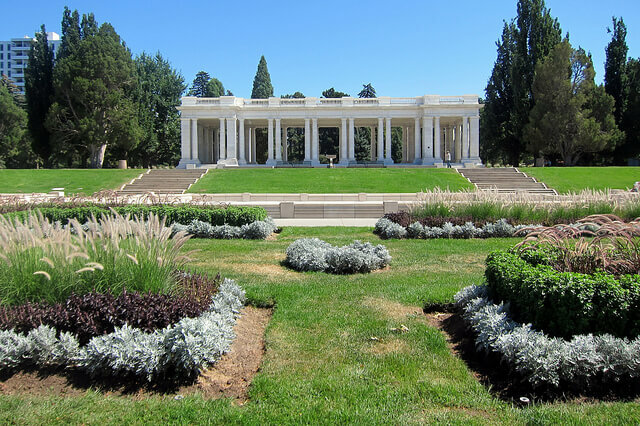 As many of these grave sites were not moved, many say that Cheesman Park is home to spirits of those who were buried there in the 19th century. Check out a Denver ghost tour if you find yourself in the mood to investigate. Cool off with an ice cream cone during one of Colorado’s 300 days of sunshine at Bonnie Brae. 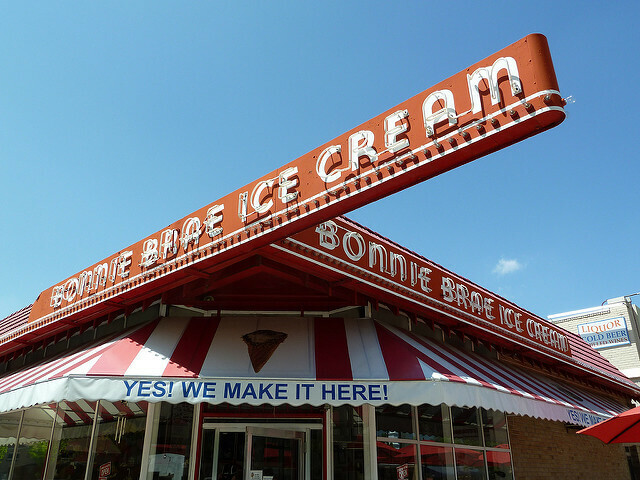 Since 1986, Bonnie Brae has offered a retro ice cream shop vibe with ice cream made right there in the store. Enjoy a classic favorite or adventure out and try one of their inventive flavors like blueberry cheesecake or ginger spice. Get your ice cream fix without eating another tub of Phish Food in bed with Netflix. Satisfy your sweet tooth with a creative donut creation at Voodoo donuts. 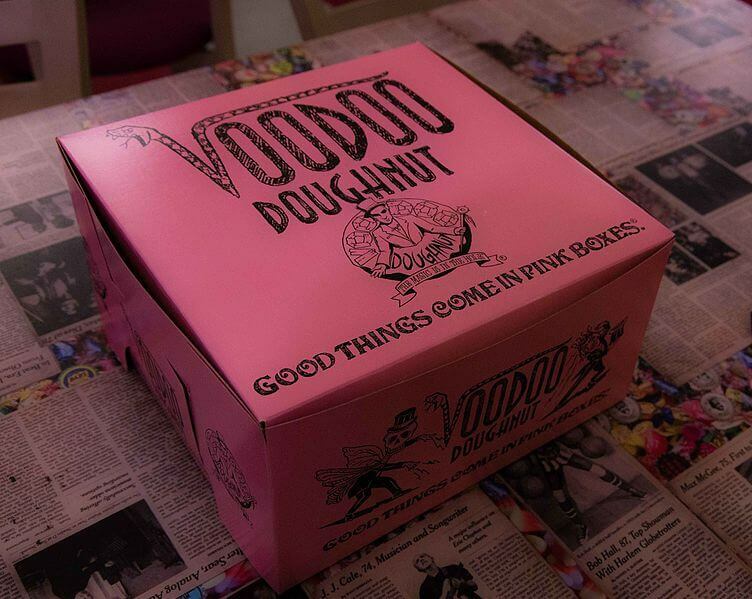 “Voodoo is not your typical donut shop,” said University of Denver senior Avery Oshman. “I’m always excited to try something new but my favorite is the jelly filled Voodoo doll.” Open 24/7, visit Voodoo for a late-night study break.